Takeshi Kitano stars as Aniki, a stoic "yakuza" (the Japanese version of the Mafia) who heads to Los Angeles after his clan loses a mob war. Unable to speak English, he still manages to take control of his little brother's small-time gang of drug dealers and quickly moves them up the criminal ladder by impassively blasting all their higher-ups and imparting an Eastern sense of honor to the new "family." 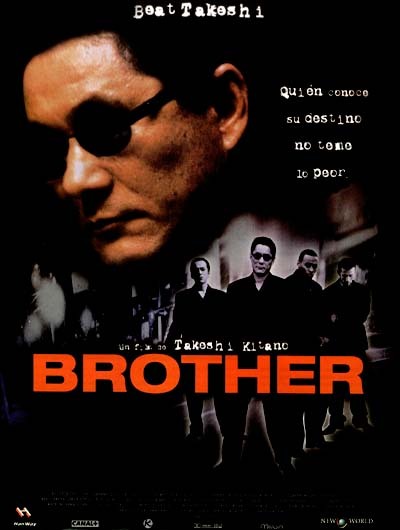 Between the ritual suicides, tortures, self-mutilations, and blood-soaked gun battles, Aniki forms a special bond with black gang member Denny (Omar Epps), who teaches him some English slang in exchange for guidance.